Crushing mill is designed for 5 kilos of grist and is suitable for operation in laboratories and testing of construction material. Abrasion-resistant material is included. Operation safety is ensured by closed metal sheet cabin which is secured by end limit switch blocking the start of machine. Crushing mill is controled by control panel with PLC, rotation frequency converter, timer and stepper. Frequency converter together with PLC not only set the optimal rotation, but also ensures the smooth start and stop of the drum. 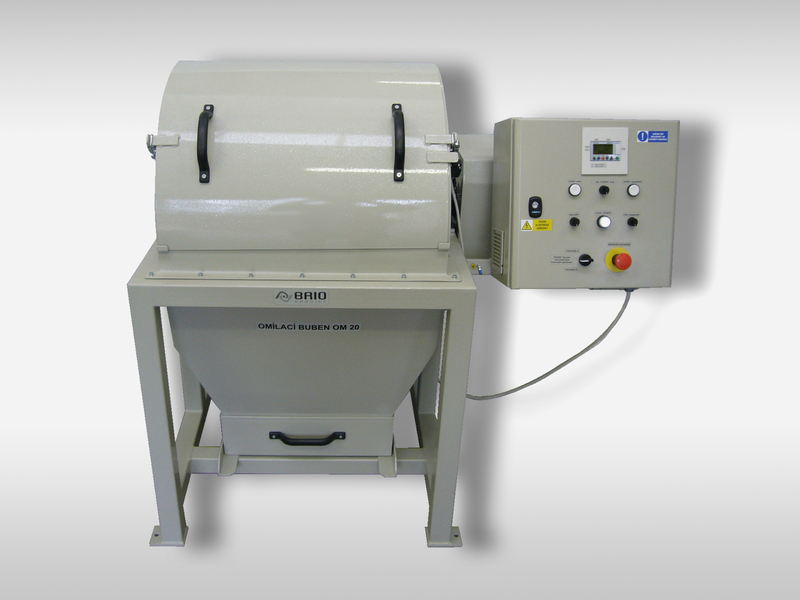 Crushing mill can be placed in acoustic enclosure.